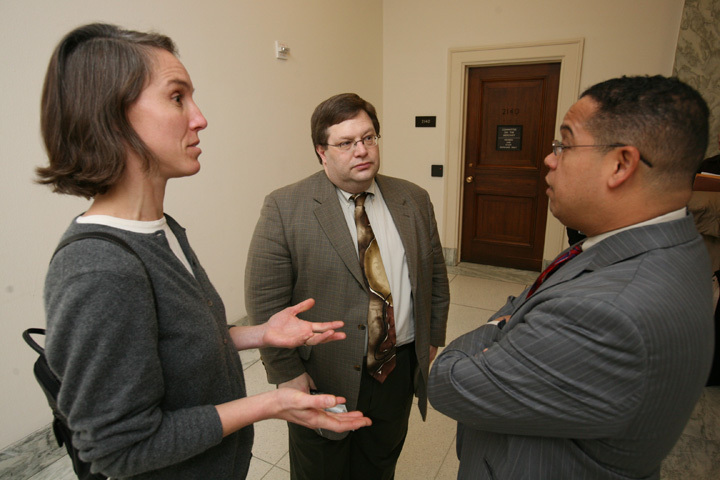 Clinician Advisory Committee member Deanna Diebold, M.D., and ATS President David Ingbar, M.D., speak with Rep. Keith Ellison (D-MN). 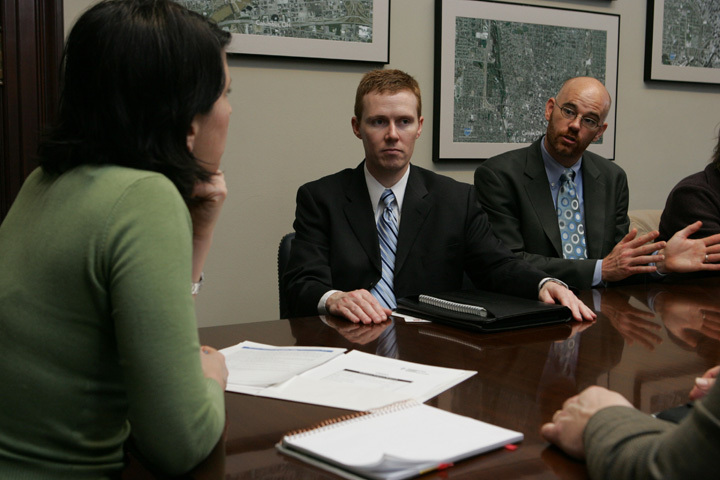 Roberta Downing, staff member to Sen. Sherrod Brown (D-OH), listens as Gary Ewart, (R) ATS senior director of government relations, and Mike Green, M.D., a pulmonary/critical care fellow at Ohio State, discuss the need for FDA regulation of tobacco products. 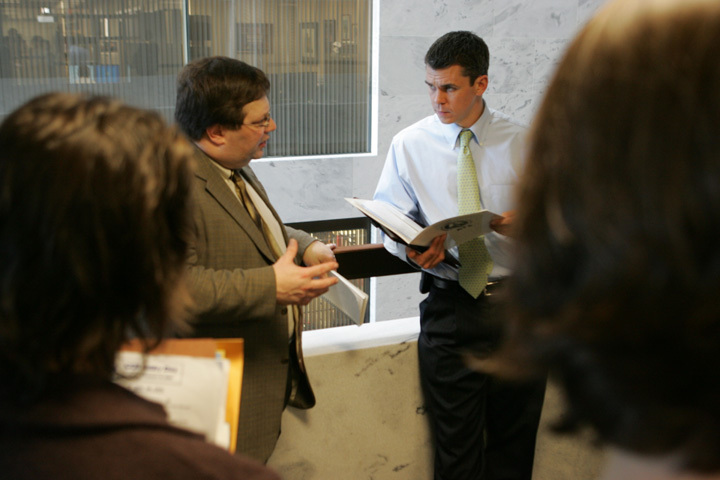 ATS President David Ingbar, M.D., talks with a staff member to Sen. Norm Coleman (R-MN) about the shortage of intensivists. ATS President David Ingbar, M.D., and Clinician Advisory Committee member Deanna Diebold, M.D., with staff member to Sen. Amy Klobucher (D-MN). 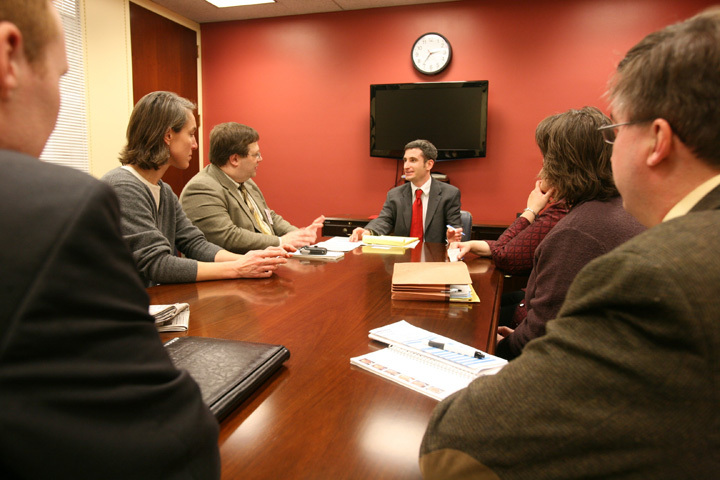 Angela Mikolajewski, staff to Sen. George Voinovich (R-OH), met with a delegation of ATS members. 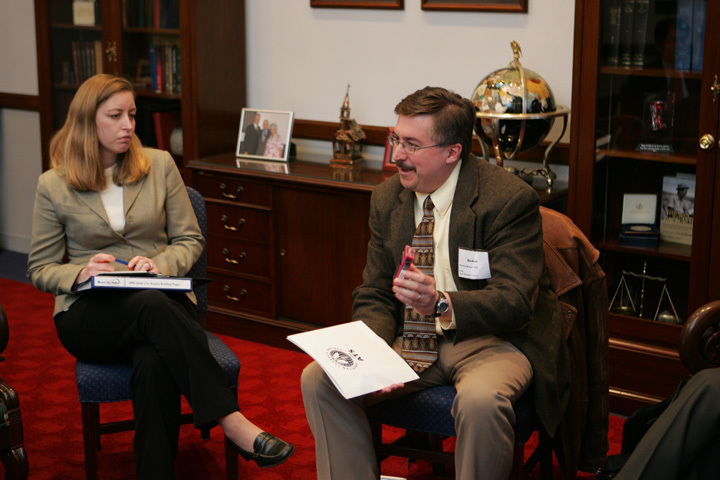 Iowa Council of Chapter Representative Herbert Berger, M.D., speaking with Leah Shimp, a staff member for Sen. Charles Grassley (R-IA). 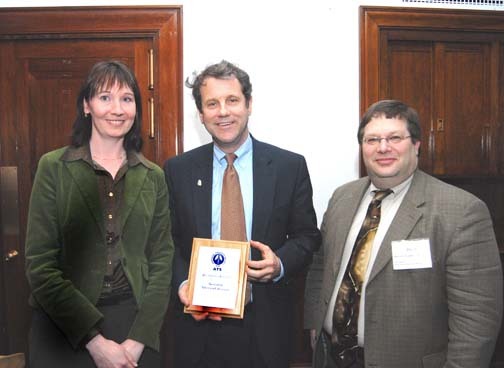 Sen. Sherrod Brown (D-OH) received an award for his leadership on legislation to prevent and cure TB. He’s pictured here with Nuala Moore, the ATS senior legislative representative responsible for advocacy in this area, and ATS President David Ingbar, M.D. 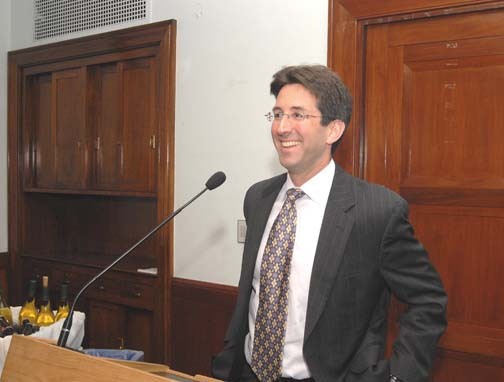 Erik Fatemi, staff to the Senate Labor Health and Human Services and Education Appropriations Subcommittee, spoke about NIH funding at an afternoon session. 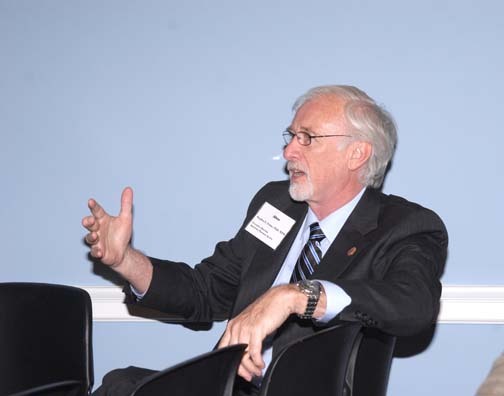 Samuel Wilson, Ph.D., acting director of the National Institute of Environmental Health Sciences, spoke at the afternoon reception. 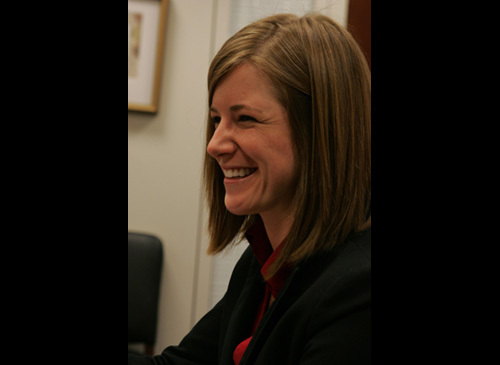 Teresa Geiger, the Coalition for Pulmonary Fibrosis representative to the Public Advisory Roundtable (PAR), speaking with Samuel Wilson, Ph.D., acting director of the NIEHS. 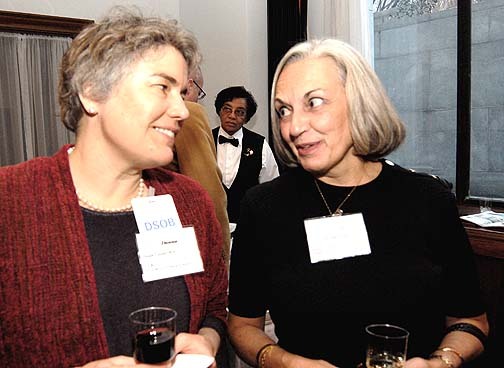 Dona Upson, Council Chapter of Representatives member from New Mexico, and Colleen Richardson, California Thoracic Society chapter administrator. 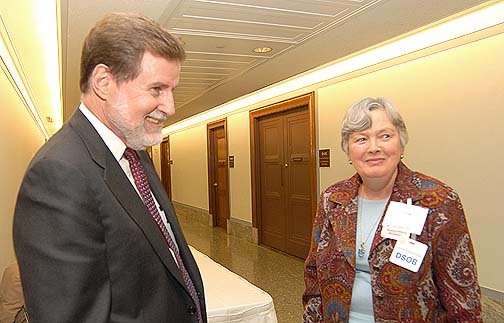 Judith Simpson, R.N., past chair of the Public Advisory Roundtable (PAR) and the founding president of the Pulmonary Hypertension Association, speaks with Dr. Samuel Wilson, acting director of the NIEHS. Council of Chapter Representatives Chair Vera De Palo, M.D., spoke to ATS members before their visits to Congressional offices. 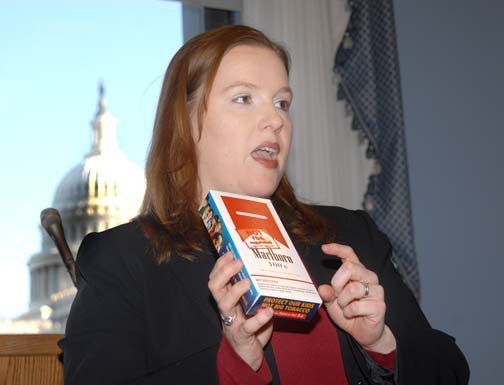 Erika Schlachter Sward, director of national advocacy for the American Lung Association, made a compelling case for why tobacco products need to be regulated by the FDA, including presenting disturbing examples of tobacco companies targeting school-age children. 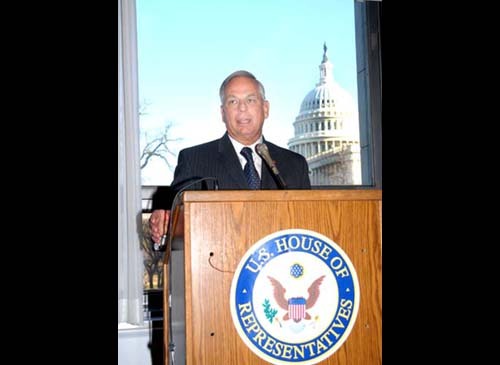 Rep. Gene Green (D-TX) spoke during the morning session. ATS Executive Director Steve Crane, Ph.D., M.P.H., asks a question at the morning session in preparation for Hill visits. 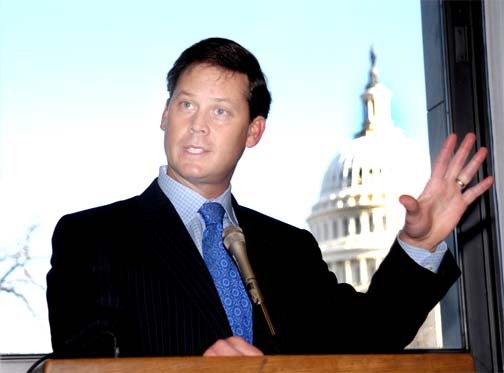 Rep Tom Allen (D-ME) spoke during the morning session. Charles Pickering (R-MS) spoke to ATS members in the morning about the importance of their educating his colleagues about pulmonary rehabilitation. More than 40 members from the ATS Council of Chapter Representatives (CCR), Clinicians Advisory Committee (CAC), the ATS leadership and members of the Public Advisory Roundtable (PAR) visited Capitol Hill in February to encourage lawmakers to pass legislation to prevent lung disease and advance care for patients with respiratory diseases. 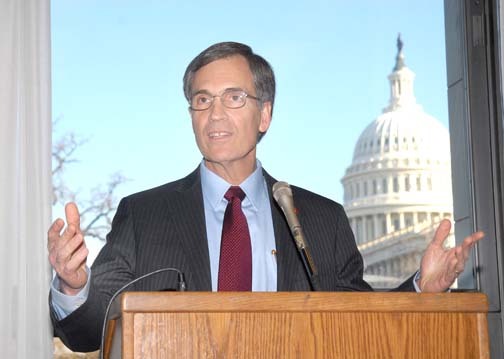 Topping the ATS agenda is giving the Food and Drug Administration authority to regulate tobacco products. ATS members also petitioned Congress to enact legislation to create a federal Medicare pulmonary rehabilitation benefit and to support a demonstration program to improve the efficiency of critical care providers. 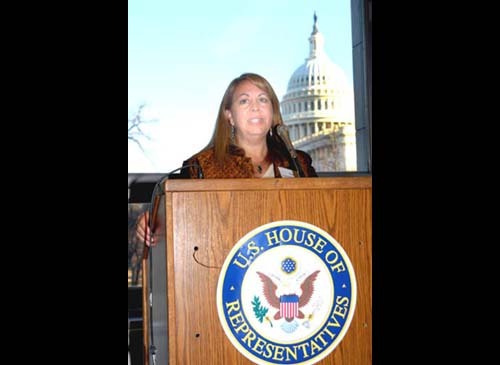 “It is critical that ATS members come to Washington to advocate directly with their members of Congress on respiratory health issues, particularly in an election year,” said Vera A. 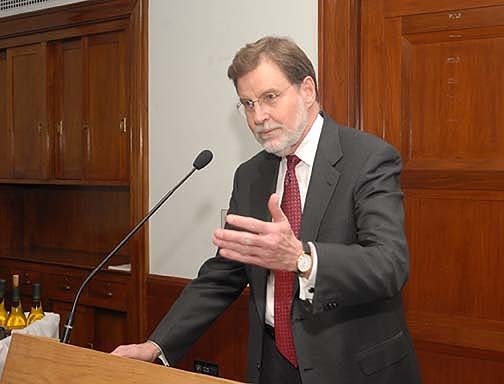 De Palo, M.D., chair of CCR. Members agreed that having patients and their family members really drove the message home that respiratory illness is under-recognized, as is the growing workforce shortage of critical care physicians.